MR JS ROUGE 493/5 "REDNECK"
Redneck is the ONLY U.S. Triple Crown Winner garnering the Grand Champion title at the World Brahman Congress, Houston International Show & All American. 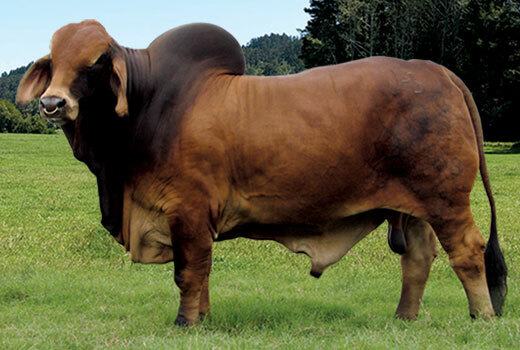 His sire, +BB Mr Sting-Ray 10/0 was the only bull to win ABBA Premier Red Show Bull of the Year all three years he showed.